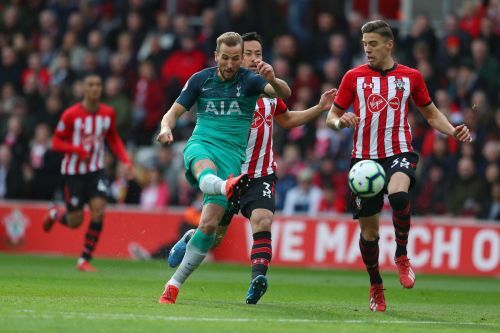 Tottenham Hotspur dealt yet another setback as relegation-threatened Southampton pulled out an incredible come back to defeat a quite rickety Spurs. Tide has drastically turned for Mauricio Pochettino's men in the recent weeks. Quite a month ago, the North London outfit were in a title race but then back to back defeats against Burnley and Chelsea saw their hopes for Premier League title fade to a great extent and now, yesterday's defeat has cast doubts over their top four finish. While Southampton are enjoying quite mix fortunes under Ralph Hassenhatl and are still in seek to secure their place in the Premier League. Saturday's emphatic triumph over Tottenham is a pure statement of intent and this win could prove huge in their race for survival in Premier League. Saturday's game surely as impacted significantly both halves of Premier League standings. On this note, here are the talking points from Southampton's immense victory against the North Londoners. Tottenham's supreme goalscorer Harry Kane was back at the office in terms of goals as he netted a beautiful strike from an outrageous lobbed pass from Dele All. Yesterday's goal means Harry Kane is placed in second in the top goal-scoring chart just one behind Sergio Aguero and has equaled Mohamed Salah. The England international was a continuous threat for Southampton yesterday as he had 8 shots in total while only 2 of those were on target. Hero of the night for the Saints was James Ward Prowse whose incredible 80th-minute free-kick won the game for the hosts. But what caught the attention was Ward Prowse's imitating Cristiano Ronaldo's iconic Siiiuuu celebration after that free kick. The 24-year-old Englishman has now six goals in Premier League this season and has become a talking point after yesterday's events at Saint Meris.